Whole TamilNadu is going crazy towards Liquor ban. But the government doesn’t seem to care about it at all. Recently the Government announced restrictions to protesting for Liquor prohibition. 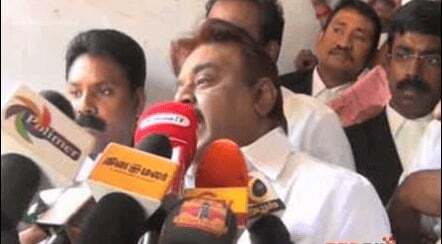 Anyone who protest against liquor production or selling will be arrested. It sounds insane but this is the truth. Recently the college students being beaten by the police became viral which was also explaining the severity of the government supporting liquor production. In the middle of this mess, DMDK leader along with his nearly 500 party candidates formed a human chain from Fort to CMBT. City police tried to stop them from doing this but they were not ready to listen and they were arrested at the end. The traffic was affected in and around Koyambedu for about 20 minutes. 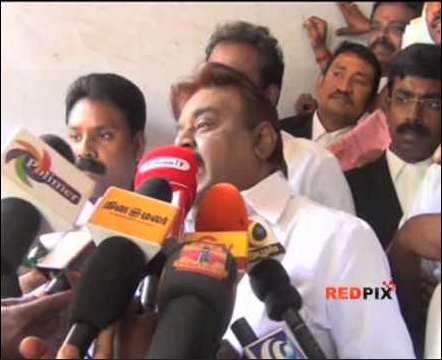 VIjayKanth, his brother-in-law and about 500 people were arrested and are still in custody.